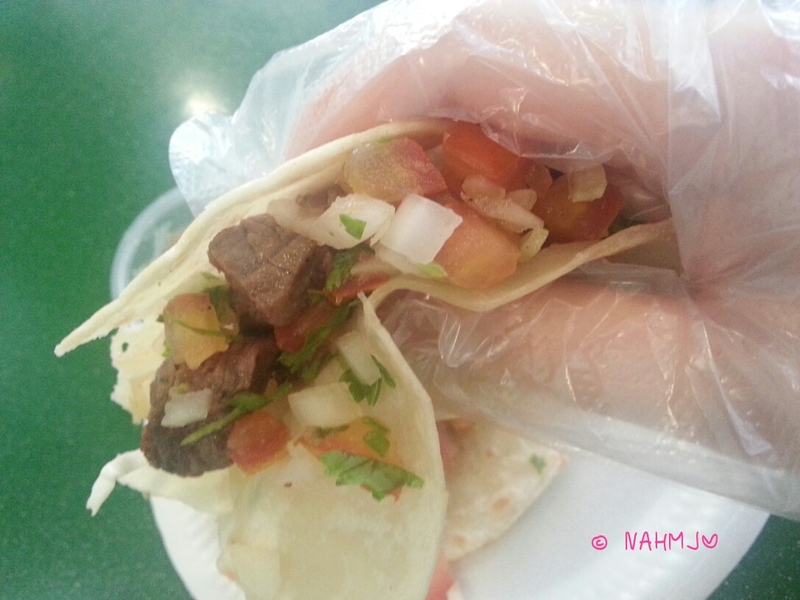 I got to know that Golden Shoes Food Centre has a new stall selling Mexican Taco and I went down the very day. Somehow, I kept thinking that the stall was at level two but it was at level three. The menu was simple. There were four types of Taco to choose from; Chicken, Fish, Prawns and Beef. If you want Guacamole, you need to order separately as the taco is not served with Guacamole. You will be served with Salsa if you order three and more Tacos, otherwise, you can order at 50 cents each, choosing either the hot or mild. Taqueria make the Taco wrap fresh daily. I ordered the chicken and beef Taco. While I was waiting for my order, the lady manning the stall was telling me that they does large orders for office as well. They will pack twenty-two Tacos per box. The cost would vary very much on what you order. They do not offer combo set package. 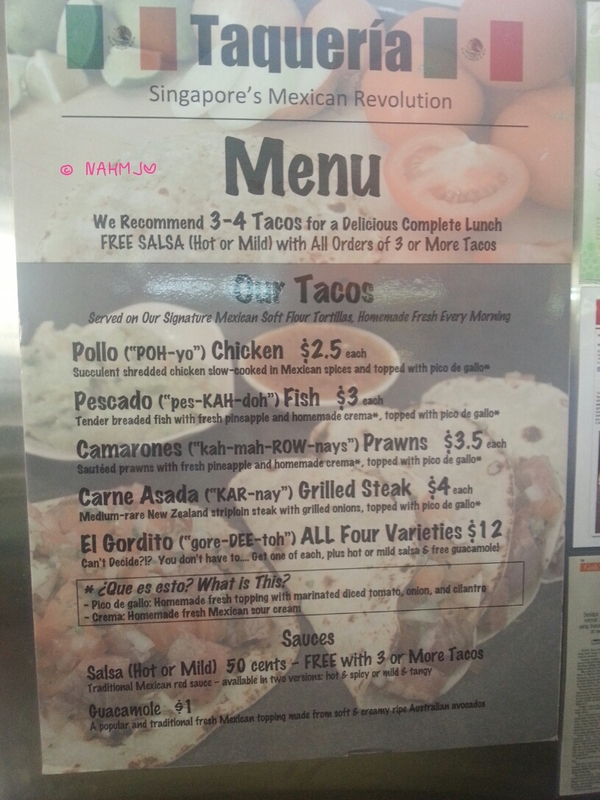 They have a set of 4 tacos with one fish, one beef, one chicken and one prawn at $12. This is a very worthwhile set. 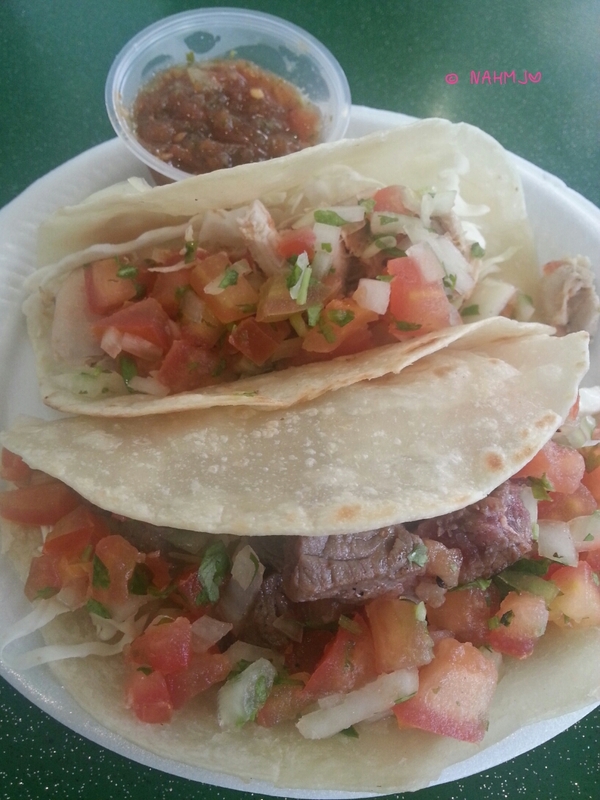 For most of you, I am sure you will need at least 3 tacos to fill your stomach. Each Tacos has lots of shredded cabbage, diced tomatoes, sliced onions and chopped cilantro; very healthy. The amount of onions is too much for my liking. There isn’t any sour cream in the tacos, nevertheless I don’t find it dry. Due to the onions and cilantro, the Tacos emit a nice fragrance and sweetness from the vegetables. The wrap is not the crispy kind but the soft type. It is very soft and easy to bite. I prefer the beef to chicken as the beef is more flavourful compared to the chicken. I find the chicken a little bland. If they could marinate the chicken with some spice, that would taste better. I am fine with or without the Salsa. 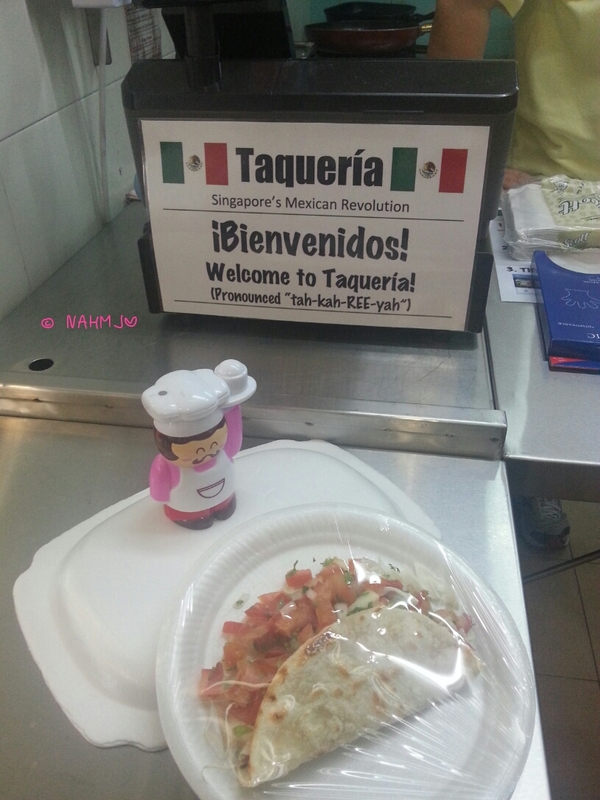 Taqueria is very considered to customers who are eating at the food centre, they provide glove and serviette. Taqueria is Halal certified, good news for our Muslim friends. I will try the prawn and fish the next time with Guacamole. It doesn’t taste very Mexican, more of a local adapted taste. For a change from my usual lunch menu, to have Tacos is refreshing. I went over to Sunrise Traditional Coffee & Toast at Level 2, Unit 29 after my Tacos meal. You can read about Sunrise Coffee here. ← Online Hotel Booking Websites, The best and the worst.